Nose after 10 minutes: Buttered corn, spirit, molasses and biscuits. Entry is smooth and mostly dry. Flavor is muted. Midpalate opens up broadly with oak, leather, and a gentle grain sweetness with plenty of spirit warmth. Finish is medium long with red fruit joining the biscuit grain. There's a hint of distant smoke and some mineral tones and country grass at the finish. The whole presentation is sinewy and sophisticated; lean rather than sweet and fat like I was expecting. The lightness; the low density of flavor here is tad disappointing to me. But the flavor that is present is very good. 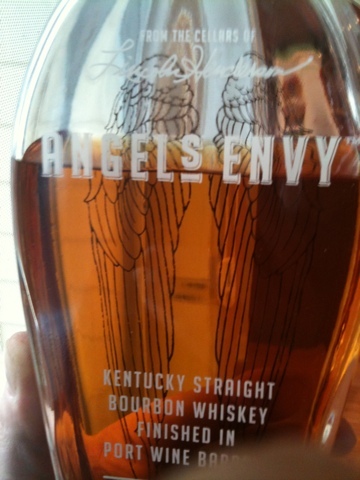 This tastes just like a good bourbon that only rested 4 years - which is exactly what it is. The port finish is very slight - just a hint. I think this whole show will be better and more impressive with more time in the wood. In the meantime, it's quite nice now. A very credible effort at something new for American whisky (this secondary wood finish is a mature trend in Scotch Whiskey). However, factor in price (around $50 here in NYC) and it's a tough sell. There are a number of alternatives that offer far more enjoyment for the money, in my opinion.